With 50 years passing since the Olympic Games in Mexico City, a diverse group of sports icons – Tony Dungy, James Blake, Greg Louganis and Ibtihaj Muhammad – shared their experiences with inequality and how they turned it into action. The panel discussion at the 2018 LA84 Foundation Summit opened with a video, narrated by Serena Williams, that looks back at the year 1968 and those Olympic Games. A current topic in the NFL today is how the league is responding to players who are protesting racial inequality and police brutality in America. The conversation dates back to the moment Tommie Smith and John Carlos stood on the Olympic podium with fists raised in solidarity, sharing a pair of black leather gloves to protest inequality at home. “The American Flag brings emotion. Different emotion for everyone, but emotion,” said moderator, NBC’s Mike Tirico. Tirico said that Dungy – who also works for NBC Sunday Night Football – provided thoughtful insights to the recent protests in the NFL happening during the national anthem, most notably lead by Colin Kaepernick. Dungy believed that Smith and Carlos were trying to bring attention to the fact that they were two of the fastest men in the world, but there are colleges who wouldn’t let them run on their track team because they weren’t allowed in the school. “That’s wrong. That needs to be changed. I think that’s what Colin was saying,” he said. Dungy – the first African-American coach to win a Super Bowl – said he always told his players to use their platform for positive change. “You’ve got a great opportunity to play sports and to be on a national platform, but if all we do is play, you’re going to miss half of what you’re here for. God put you here for a reason, we have to make the communities better,” he said. A notion he said he learned from his father. “You have to do what’s going to help make the situation better,” Dungy said his father would tell him. Dungy said he believes that is what Kaepernick was trying to do. Like Smith and Carlos, Kaepernick was not protesting for black power, but for basic human rights, Dungy said. Tirico emphasized the theme of voice and the importance of athletes utilizing it. James Blake said he learned the power of his voice after he was blindly attacked by a police officer in New York City. Blake said that his initial reaction was to act tough like an athlete should and just brush it off. He said it was not until he spoke with his wife that he realized he could not just let the incident go. Blake was on Good Morning America the next morning to share his experience. “It would be, in my opinion, unbelievably selfish if I didn’t go speak about this, to let people know and use what platform I have to help others in much less fortunate situations,” Blake said. Ibtihaj Muhammad said she has experienced similar acts of hatred as a Muslim woman in the United States. As the first woman of color to represent Team USA as a sabre fencer, Muhammad said she felt winning a medal in the Olympics was a moment that the country needed. It was a moment that could help change the narrative about Muslims, who are often negatively depicted by the likes of Hollywood, according to Muhammad. “Being an athlete and having the opportunity to use my platform as a Muslim woman, as the first one, is a blessing and it’s something I’ll never steer away from doing,” Muhammad said. However, Muhammed’s journey was all but easy. She recalled times that she was left out of team practices and dinners, even a time that a flight was not booked for her with the rest of the team. “I felt like I was expected to compete at the highest level of sport with this baggage and this form of harassment, which was really difficult,” she said. Four-time Olympic diver Greg Louganis described similar isolating experiences as a member of the LGBTQ community. He recalled that teammates did not want to share a hotel room with him when the team would travel for competitions. For Louganis, these experiences served as motivation. 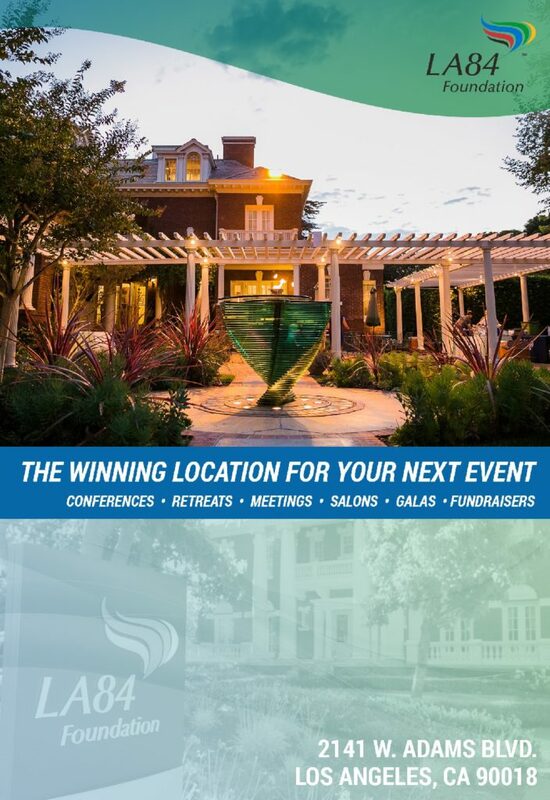 “Oftentimes, what other people would categorize as negative events that happen in our lives actually are the catalysts for motivation to get yourself in action,” he said. Louganis is now dedicated to using his voice to educate people through his experiences and hopefully create a change in thinking, he said. The discussion concluded with the panelists sharing their advice for athletes looking to use their platform for change. “Make sure you believe it and make it’s something you’re willing to make a sacrifice for,” Blake said. 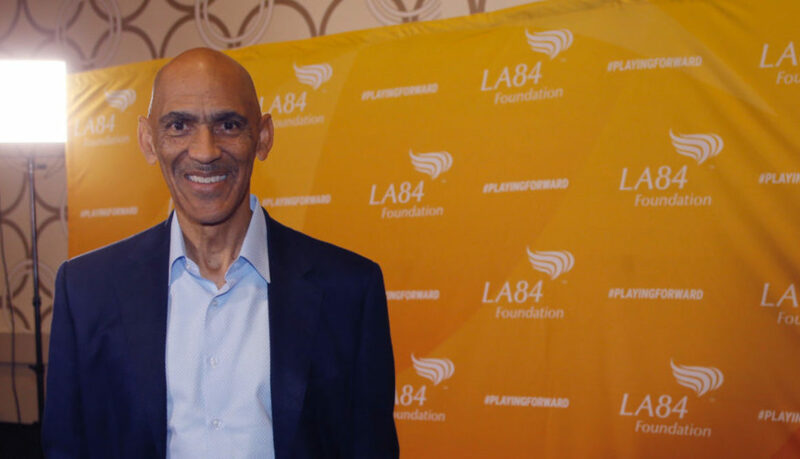 LOS ANGELES — NFL Hall of Fame Coach Tony Dungy appeared on ESPN LA 710’s The Morning Show with Keyshawn, LZ and Travis, just before hitting the stage at the 2018 LA84 Summit. 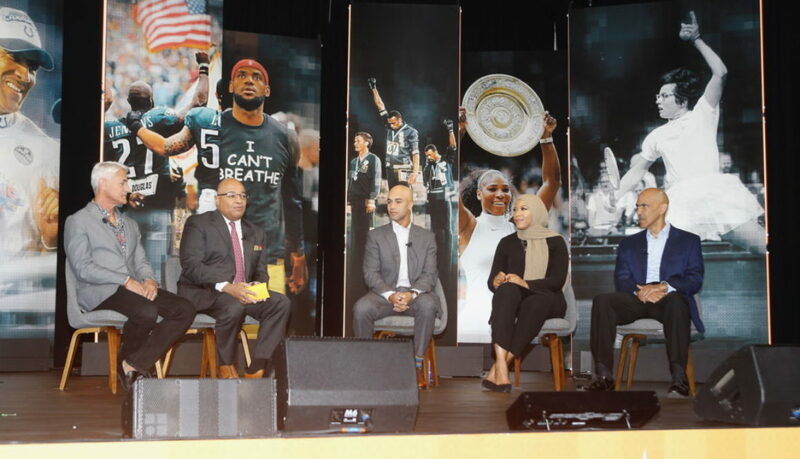 Dungy, four-time Olympic gold medalist Greg Louganis, Davis Cup Champion James Blake and Olympic medalist Ibtihaj Muhammad kicked off the event with a panel discussion on the impact of Tommie Smith, John Carlos and Peter Norman’s iconic protest at the 1968 Olympic Games. LA84 and NBC Sports collaborated to put on this compelling panel, moderated by Mike Tirico. Dungy, who was 13 years old at the time, vividly remembered asking his father why Smith and Carlos raised their fists on the podium. It wasn’t until Dungy was older that he realized what motivated the three men to take the action they did. Dungy sees a lot of similarities today in Colin Kaepernick’s protest of racial inequality and police brutality. To hear the entire segment, click here.